Last year international banking giant HSBC suddenly closed the bank accounts of several prominent British Muslims. Anna Meisel and Peter Oborne reveal how the decision was made. In late July last year Mohammed Kozbar, chairman of the Finsbury Park Mosque near the Emirates football stadium in north London, was astonished to receive a letter out of the blue from his bankers, HSBC. The letter informed him that his bank account was to be closed. 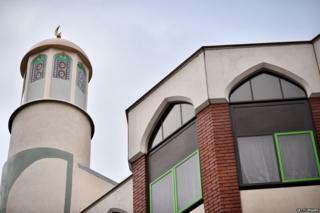 It explained: "HSBC bank has recently conducted a general review and has concluded that provision of banking services to Finsbury Park Mosque now falls outside of our risk appetite." There was no further explanation and no right of appeal. Kozbar says that there had been no previous issues between the mosque and HSBC and that he "couldn't understand" what had happened. Other HSBC clients who suddenly fell outside the bank's "risk appetite" included the Cordoba Foundation, a think tank which says that it specialises in building relations between the Muslim world and the West. Anas Altikriti, the foundation's chief executive, had banked with HSBC ever since he had been a university student 30 years ago. His personal bank account was closed, along with his wife's and his two teenage children. Once again there was no right of appeal. Journalists cannot get access to it but one of their clients - who had strong reservations about the software - let us in. When we obtained access to the database, the word "terrorism" came up in dark red, directly above the name of the Cordoba Foundation. The World-Check website page sourced the "terrorism" claim to the United Arab Emirates. The UAE lists the Cordoba Foundation as a terror group. One of the smaller Gulf states, the UAE has itself been the centre of money-laundering allegations. It has been criticised for human rights abuses, including torture. It brands certain political opponents - including the Muslim Brotherhood - as terrorists. The Muslim Brotherhood is an incredibly complex movement which manifests itself in different ways in different places - it is not a single uniform body, writes Dominic Casciani. Islamism, the idea that society and politics should be entirely organised according to the teachings of Islam, is at the heart of its ideology. In Egypt, where it was founded, and Saudi Arabia, it is banned as a terrorist organisation - something its supporters say is unjust. Its core strategy - of mixing charitable work with political activism, has influenced the approach of many comparable Islamist groups around the world. There are a string of groups operating legally in the UK that are part of the movement, even though they don't often explicitly describe themselves as being part of the Brotherhood. Some individuals involved in these groups have been accused of extremism - such as supporting suicide attacks by Palestinians against Israel - and many have been involved in mainstream political campaigning. Prime Minister David Cameron ordered a review of the Brotherhood in 2014 but its findings have still not been published. The World-Check website contained several strong disclaimers, and stressed that the "accuracy of the information found in the underlying media sources should be verified with the profile subject before any action is taken". Furthermore, World-Check stressed that the decision to open or close accounts lay with the banks. World-Check also listed Finsbury Park Mosque under the category "terrorism". In the case of the mosque, World-Check dealt in detail with the period when it was under the control of Abu Hamza, an al-Qaeda-sympathising cleric with proven links to terrorism. World-Check's profiles are created from publicly available information of the kind that anyone can access. However it is not clear that banks can always reach an informed decision about clients based on the World-Check information. "We also provide secondary identifying information on individuals, such as dates and place of birth, and this will be similarly verified with reputable and official sources. If blog content appears, it is only as a supporting source for that secondary information, and is clearly identified as such." Kozbar is shocked that World-Check listed his mosque under the designation "terrorist". He says: "We never got this information before and we never thought that still Finsbury Mosque [is] considered as a terrorist place." "We are committed to working with the UK government and industry bodies to support the not-for-profit sector and to help charity customers manage risk in their operations." We also discovered a connection between David Cameron's decision to review alleged Muslim Brotherhood links with terrorism, and the decision by HSBC to close down the bank accounts of several politically active British Muslims. According to one senior government official: "There is a definite connection between the bank account closures and the review of the Brotherhood." Experts within the banking industry have confirmed that the Brotherhood review created an atmosphere of concern - though they added there was no pressure from government to close accounts. Cameron's review, which focused in part on the connections between the Brotherhood and terrorism, was announced in April 2014. Just three months later HSBC sent its letters to well-known British Muslim organisations and individuals.